Did you know pregnancy is an extraordinary journey of changes for both mother and her developing baby? 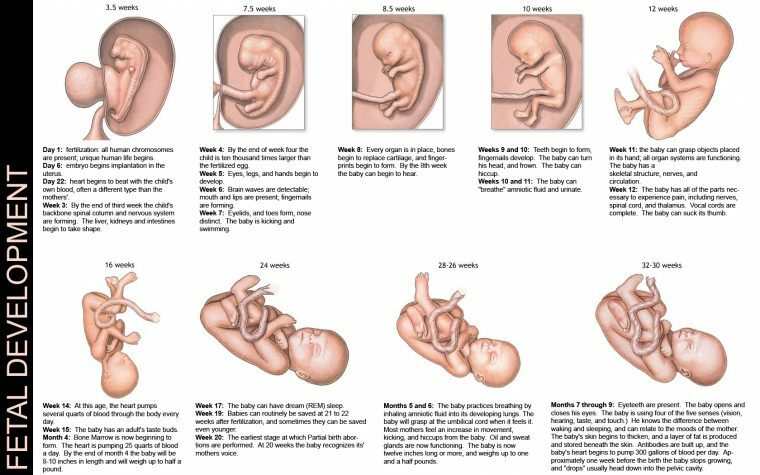 While the mother adapts physiologically to sustain a life within her, her child goes through astounding growth from a cluster of cells to an amazing baby with beating heart, facial features and kicking legs – all in a span of 40 weeks! Thankfully Anmum for having me to experience the extraordinaire workshop. Now I know being a ‘Mother’ is not a easy-peasy-thingy task. Indeed, although I am not married yet of course not a ‘Mother’ too but I believe this workshop is really helping me to experience and listening to different celebrities sharing their very own stories of pregnancy journey and how they handle it. One of the most obvious changes as a pregnant woman is weight gain, which comes mainly from the phenomenal increase in the volume of body fluid to protect the baby in her womb. 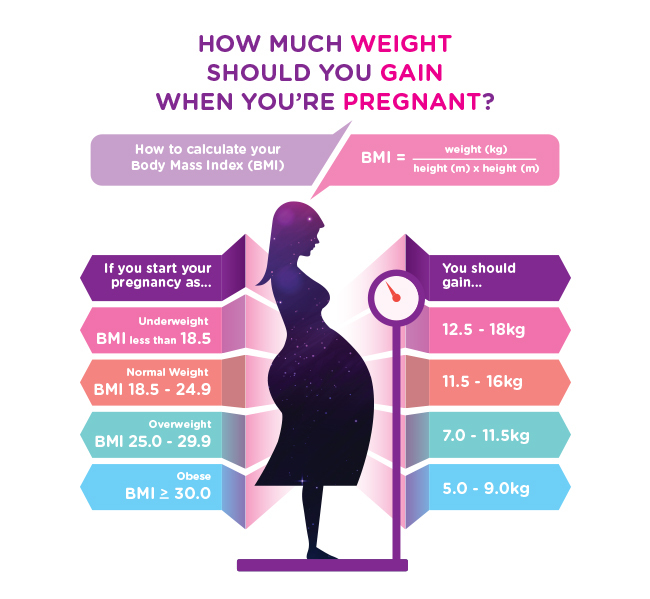 A healthy weight woman puts on an average of 11.5 to 16 kg during pregnancy. Besides the weight of the baby, she gains weight from the increase of blood, about 30 to 50% or 1.5 to 2 litres more to transport oxygen and nutrients to her developing baby. 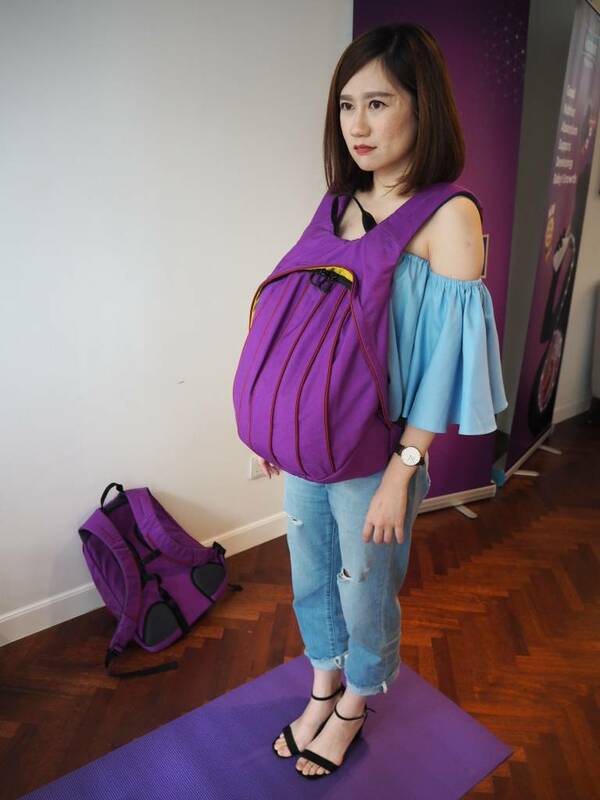 Within her womb, the baby is developing astoundingly. 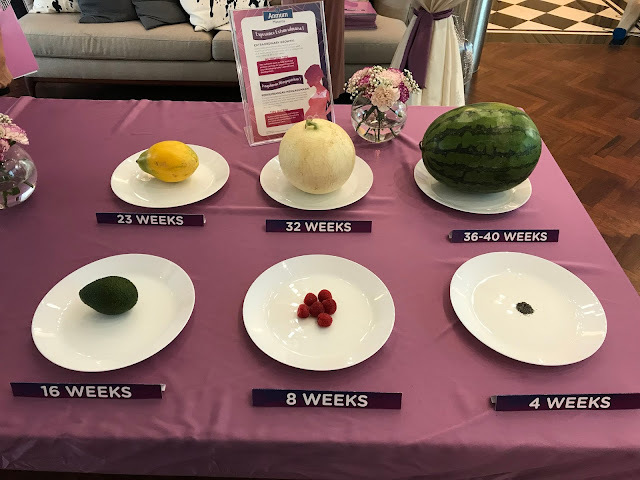 At 4 weeks, the little one has transformed from a group of cells into an embryo, which is the size of a poppy seed – 10,000 times bigger than the size at conception. At the same time, her 3 primary brain parts are formed. By week 6-7, her heart starts beating at a regular rhythm, which is twice faster than an adult. She can even feel touches by week 8! Fast-forward to week 10, her facial features become more distinct and can have different facial expressions and even smile in the following week. By week 26, the baby’s unique fingerprints have developed. 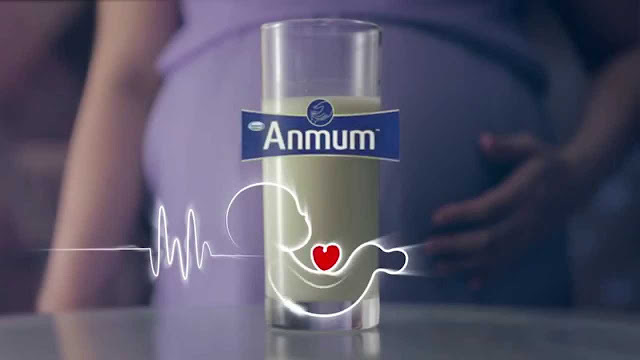 Around 4-5 months, her heart pumps more than 28 litres of blood a day. 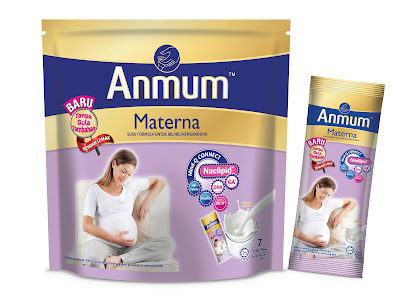 Understanding that pregnancy is one of the most remarkable changes that both mother and her developing baby will go through, leading pre-natal milk brand Anmum Materna introduced a newly-improved formula to provide the nutrients that support both mums’ and their developing babies’ need in going through these changes. Sharing with pregnant mums at the newly improved formulation launch, Irene Cheah, Marketing Manager at Fonterra Brands Malaysia, said the new formulation of Anmum Materna with Mind-Q Connect™ provides important nutrients during pregnancy. 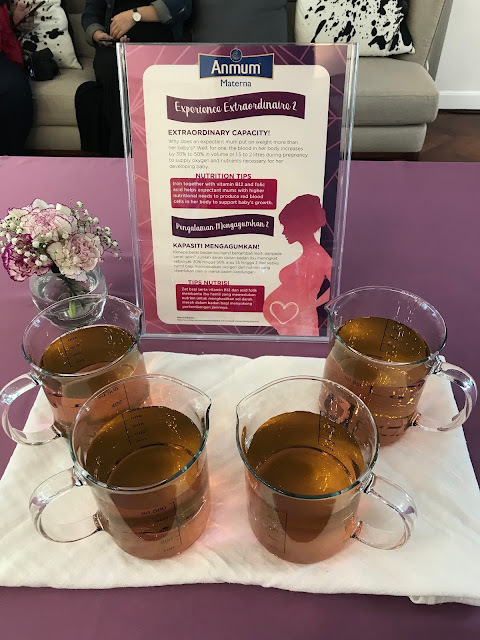 These key nutrients include Folate and Calcium that meets 100% ^ of pregnancy recommended nutrient intake with two glasses per day and Probiotic DR10™, a unique patented probiotic which is clinically tested to promote good gut health. Busy and active mothers would also appreciate the new stick packs, allowing them to easily have a glass of Anmum Materna wherever they go. 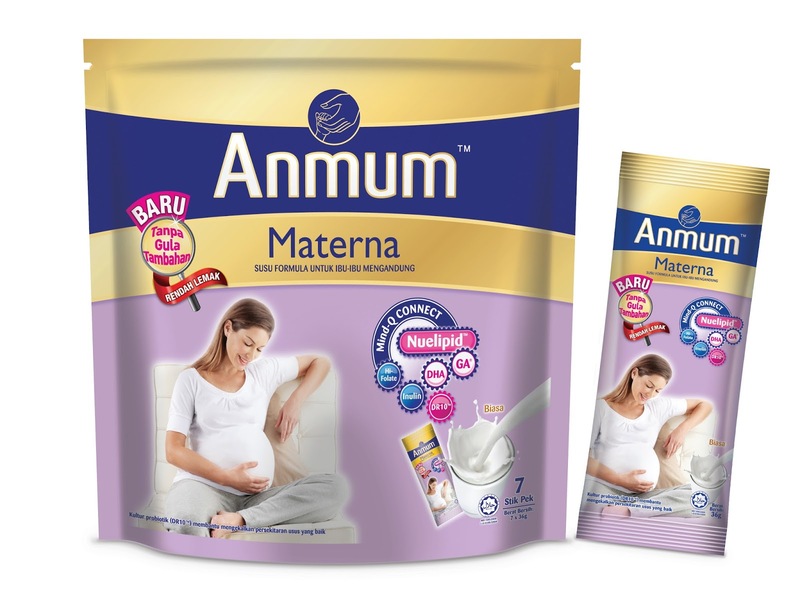 Actress and television host Jihan Muse is especially satisfied with Anmum Materna’s new formulation that quelled her worries on nutritional intake and weight gain during pregnancy. “I was nervous about being pregnant. I want to ensure that my nutritional intake is sufficient for my baby and myself, but sometimes, it is hard to eat the most nutritious meal when work gets hectic. As a celebrity, I also need to maintain good body image and physical health. 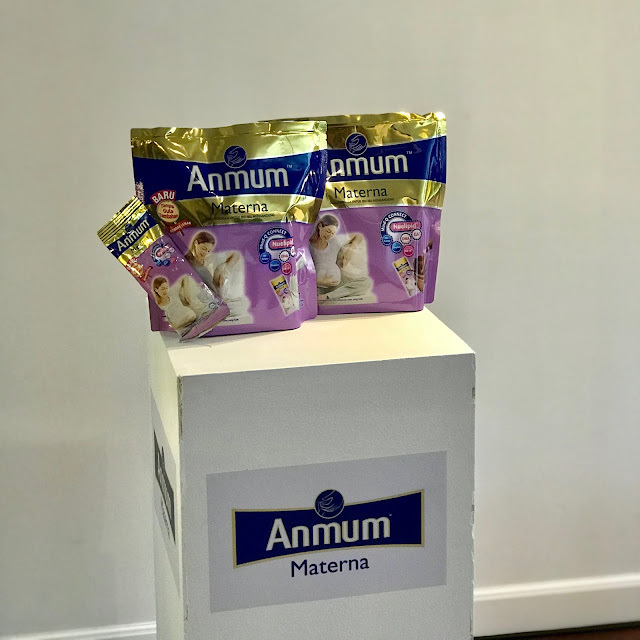 “Thanks to the new formulation, I can simply add two glasses of Anmum Materna on top of my daily diet and get all the nutrition I need to support my baby’s growth! So easy, and so yummy too. 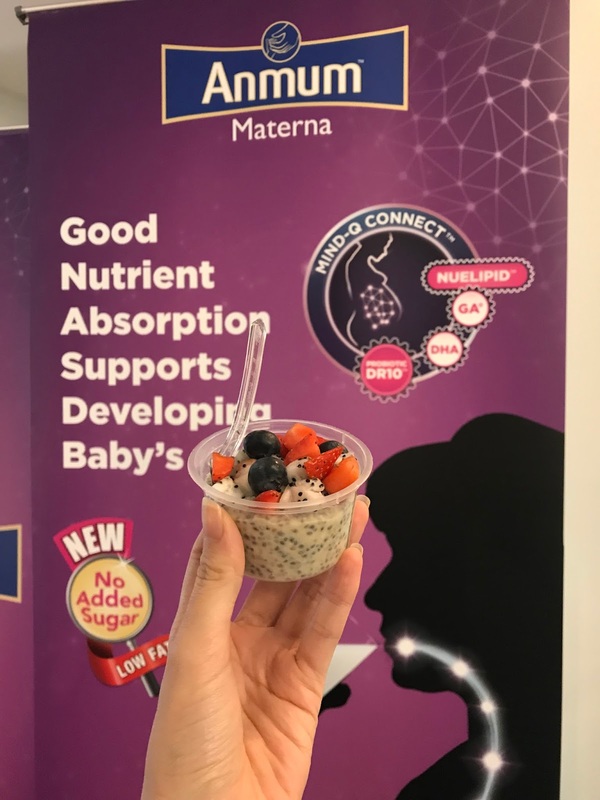 I love the fact that it has No Added Sugars + Low in Fat – it allows me to control my sugar intake with a peace of mind so I can look like the fabulous mum I want to be!” said Jihan, chuckling. 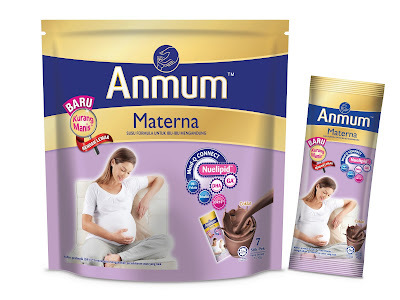 Ng Kar Yoon, a radio announcer and celebrity host, is also a fan of Anmum Materna’s convenient stick packs. “Pregnancy didn’t slow me down – I still keep a busy schedule and embark on travels. 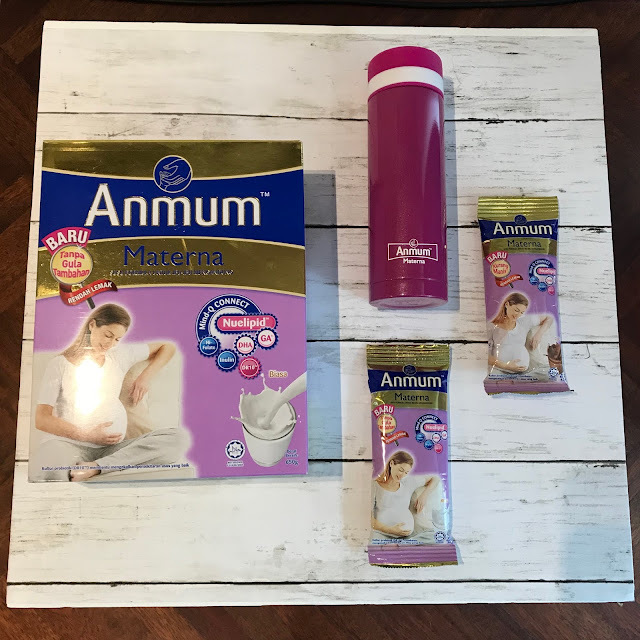 I’d just make sure I always have at least two stick packs of Anmum Materna and a water tumbler in my handbag, and I’m ready to load up on important nutrients wherever and whenever so that my baby continues to grow even while mummy is hard at work! (L-R) Group photo of Karen Ong (Marketing Director of Fonterra Brands Malaysia), Dr Raman Subramaniam (Consultant Obstetrics & Gynaecology at Fetal Medicine and Gynaecology Center, Kuala Lumpur), Leong Lih Wei (Nutritionist at Fonterra Brands Malaysia), Jihan Muse (Actress and TV Host) and Ng Kar Yoon (radio announcer and celebrity host). Anmum Materna comes in a pack of seven sticks of 36g (plain flavour) and 42g (chocolate flavour). Each pack is priced at RM19.90. Other than the new stick packaging, there is also the bag-in- box 650g variant for consumption at home in plain and chocolate flavours. Each pack retails at RM42.00.